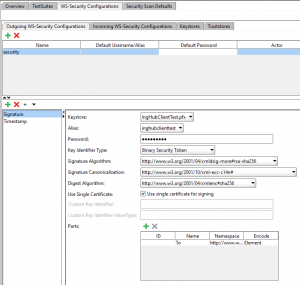 Is it possible to connect SoapUI to WCF Service certificate authentication, the answer is yes! If you search on the internet, there is little information about this topic but it is really possible! Adding security to your WCF service is a best practice. Not only when your creating services connected by the internet but also inside your company. One way for securing your WCF service is adding certificates for authentication. But also signing your message is good way to preserve the integrity of your message. So to use a secure service we can enable transport and message security. See a list of common security scenarios with WCF for a good reference. In that way we can use SSL in IIS. Then use in your .NET client the following config. The assumption is that you already know how to add a service. If you want to connect to this service with SoapUI it is more difficult. I’m not a Java developer so I use SoapUI for an easier understanding of connecting to our WCF Service in a different language. For this example I use the curret latest version 5.3. See for an overview of WS-Security the following help page. Follow the steps below for adding a new project to SoapUI with the right configuration. First of all create a new project and add the url to the wsdl. A new project is generated with a sample request for your service. Now double click the project or use right click of the mouse to open the “Project view”. Select the “Keystores” tab and add the certificate with private key so we can sign the request. Go to the “Outgoing WS-Security Configurations” and add a new configuration with the name that you like. Add in the newly created configuration a “Signature”. Configure the keystore that you’ve added. 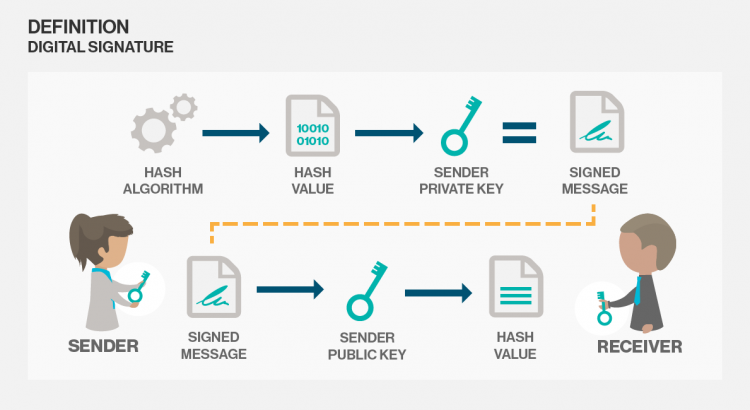 Use “Binary Security Token” as Key Identifier Type. Set the right Algorithms that you have configured in the service. I change the configuration to a higher security because the default uses SHA1 and that is not a best practice anymore. I changed the configuration in my WCF service to algorithmSuite=”Basic256Sha256Rsa15″ in the message element of the binding. See this page for more information. Then it uses RSA-SHA256 for signature algorithm, XML-EXC-C14n# for Signature Canonicalization and XMLENC#SHA256 for the Digest Algorithm. Check the “Use single certificate” checkbox. By default SoapUI signs the whole request but that isn’t the default by WCF so we have to set the parts that we want to sign. So add as Name “To”, Namespace “http://www.w3.org/2005/08/addressing” (this is my namespace but check yours) and set Encode to “Element”. Add a timestamp and set it to 300. Use milisecond precision. Check the order on the left. So first signature and then timestamp! Adjust the sample request body so it is a valid request. Go back to your request. Under the request open the “Auth” panel. Add Basic security. Leave everything blank except the “Outgoing WSS” configuration. Select the configuration that you have created. Go to the WS-A panel and check the “Enable WS-A addressing” checkbox. Finally the last thing that you have to do is check the checkbox “Add default wsa:To”. This in combination with the signature parts “To” configuration passes the right header values to the server. If you don’t do this you will get the following exception “The message received over Transport security has unsigned ‘To’ header”. See this StackOverflow post for simulair issue. I can’t seem to get this running. Everyone I’ve talked to seems to think that SOAPUI certs are incompatible with WFC but I can’t see anything stating that they’re not. Any Clues of common problems? Excellent! Works like a charm! Is there a way to see the actual SOAP request that is sent to the service? Okay, got to see it in the ‘Raw’ tab. Thanks again! Thanks! Any clue how to get it working with a Custom Binding and Mutual Certificates? HFS (Holy F…..g S…t)!!! FINALLY! IT WORKS! Dude! You have NO idea how long (like weeks-n-weeks!) I have been looking for this post! I had all but given up that it was even possible. In fact, I only found it while looking for something else. You would think this would be a common use-case for anyone building non-trivial WCF Services for business, with examples posted all over the internet…ESPECIALLY Stackoverflow (particularly disappointing in this instance)! But apparently not! Anyway, thank you, and well done sir! Thanks for this guide. It helped me a lot! There is one required step you did not mention (although the screenshot under step 11 does show that you performed it): Make sure you select an Alias for the keystore in the Outgoing WS-Security configuration. I somehow neglected to do this and consequently spent hours trying to figure out why the signature could not be added to the request. The SoapUI error log gave me a NullPointerException at “sun.security.pkcs12.PKCS12KeyStore.engineGetCertificateChain(Unknown Source)”, which led me on a wild goose chase, thinking the problem had something to do with the fact that I was using a self-signed certificate (thus with no chain).